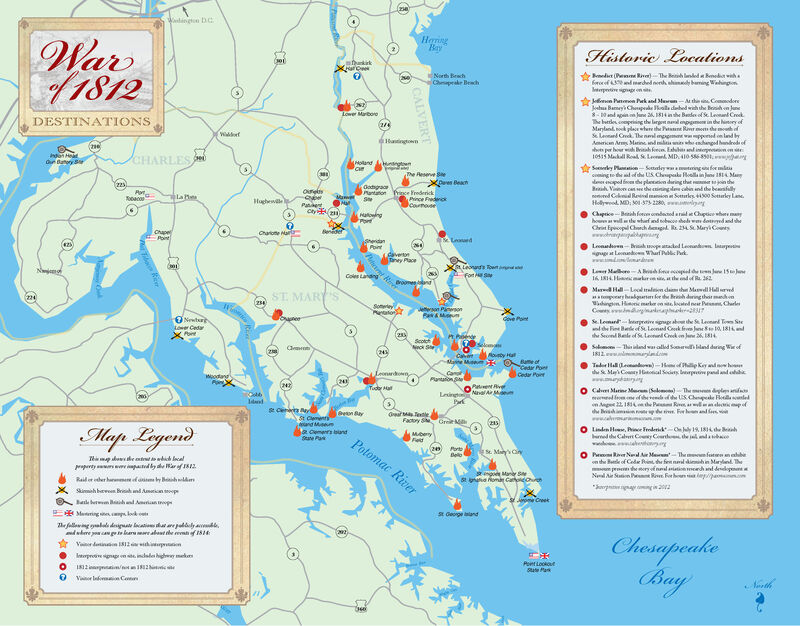 What Role Did Southern Maryland Play in the War? 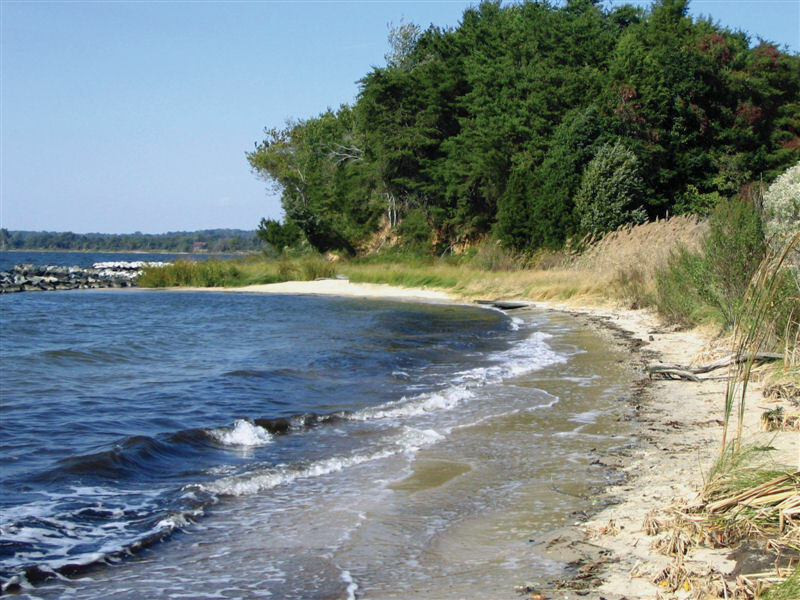 Bounded by the Chesapeake Bay on the east, the Potomac River on the west and penetrated by the Patuxent River in the middle, Southern Maryland provided easy water access for British raiding parties. By attacking the Chesapeake, the British hoped to draw American forces from the Canadian border, but also to bring the war to the capital of the nation. Take a good look at the map. Each of those orange flame symbols indicates a place in Southern Maryland where the British carried out raids. The crossed sword symbol represents places where skirmishing took place between British and American troops. No other region of Maryland suffered more raids and skirmishes. The cannon symbol represents places where battles took place. In June, off Cedar Point at the mouth of the Patuxent River, the U.S. Chesapeake Flotilla, a mosquito fleet of fifty and seventy-five-foot gunbarges, was forced to retreat within the confines of the river whereupon the British blockaded the Patuxent. A series of engagements were fought on St. Leonard Creek, a major tributary of the Patuxent River. Known as the First and Second Battle of St. Leonard Creek, this was the largest naval engagement on Maryland waters. At Indian Head on the Potomac River the Americans attempted to harass a British naval squadron. But the most important event that took place in Southern Maryland during the War of 1812 was a huge naval force of some forty-five vessels that sailed up the Patuxent in August of 1814. This was the largest naval force to ever enter Southern Maryland waters. From these ships over 4,000 troops landed at Benedict, marched overland, defeated the Americans at the Battle of Bladensburg, and captured Washington. This was the first and only time that a foreign power captured our capital.